In order to shed light on the Afghan torture program, this chapter explores the following themes. 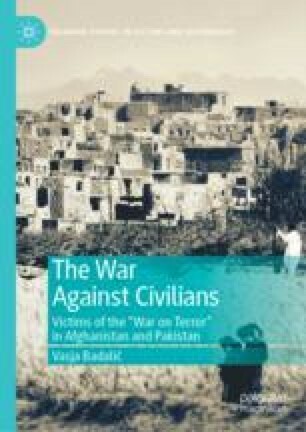 The first section of the chapter examines the torture techniques used by the Afghan security forces. The section shows how members of the Afghan security forces routinely ignored due process guarantees (e.g., the right of detainees to have access to a lawyer) in order to have free rein in torturing and mistreating detainees. The second section analyses how Afghan prosecutors and judges relied on confessions obtained through torture to convict individuals accused of committing conflict-related offenses. The last, third section of the chapter examines the practices used by the Afghan authorities to prevent attempts to bring to justice those responsible for torture. Afghanistan Independent Human Rights Commission (AIHRC), and Open Society Foundation (OSF). 2012. Torture, Transfers, and Denial of Due Process: The Treatment of Conflict-Related Detainees in Afghanistan. Kabul: AIHRC and OSF. https://www.opensocietyfoundations.org/sites/default/files/conflict-related-detainees-afghanistan-20120319.pdf. Accessed on 6 August 2018. Interim Code of Criminal Procedure for Courts—Official Gazette No. 820, Published 2004/02/25 (1382/12/06 A.P.). http://www.asianlii.org/af/legis/laws/icocpfcogn820p2004022513821206a675/. Accessed on 7 August 2018. The Constitution of Afghanistan. 2004. http://www.afghanembassy.com.pl/afg/images/pliki/TheConstitution.pdf. Accessed on 14 August 2018. U.N. Congress on the Prevention of Crime and the Treatment of Offenders. 1990. Guidelines on the Role of Prosecutors. Adopted by the Eighth United Nations Congress on the Prevention of Crime and the Treatment of Offenders, Havana, Cuba, 27 August to 7 September 1990. https://www.ohchr.org/EN/Professionalinterest/Pages/RoleOfProsecutors.aspx. Accessed on 15 August 2018. U.N. Economic and Social Council. 1995a. Question of the Human Rights of All Persons Subjected to Any Form of Detention or Imprisonment, in Particular: Torture and Other Cruel, Inhuman or Degrading Treatment or Punishment. Report of the Special Rapporteur, Mr. Nigel S. Rodley, U.N. Doc. E/CN.4/1995/34. http://hrlibrary.umn.edu/commission/thematic51/34.htm. Accessed on 9 August 2018. ———. 1995b. Independence and Impartiality of the Judiciary, Jurors and Assessors and the Independence of Lawyers. Report of the Special Rapporteur, Mr. Param Cumaraswamy, Submitted in Accordance with Commission on Human Rights Resolution 1994/41, E/CN.4/1995/39. http://undocs.org/E/CN.4/1995/39. Accessed on 24 July 2017. U.N. Assistance Mission in Afghanistan (UNAMA), and U.N. Office of the High Commissioner for Human Rights (OHCHR). 2011. Treatment of Conflict-Related Detainees in Afghan Custody. Kabul: UNAMA and OHCHR. http://unama.unmissions.org/Portals/UNAMA/Documents/October10_%202011_UNAMA_Detention_Full-Report_ENG.pdf. Accessed on 6 August 2018. ———. 2013. Treatment of Conflict-Related Detainees in Afghan Custody: One Year On. Kabul: UNAMA and OHCHR. https://unama.unmissions.org/sites/default/files/master_unama_detention_report_20_jan_2013_final.pdf. Accessed on 6 August 2018. ———. 2015. Update on the Treatment of Conflict-Related Detainees in Afghan Custody: Accountability and Implementation of Presidential Decree 129. Kabul: UNAMA and OHCHR. https://unama.unmissions.org/sites/default/files/unama_detention_report_2015_revised.pdf. Accessed on 6 August 2018. ———. 2017. Treatment of Conflict-Related Detainees: Implementation of Afghanistan’s National Plan on the Elimination of Torture. Kabul: UNAMA and OHCHR. https://unama.unmissions.org/sites/default/files/treatment_of_conflict-related_detainees_24_april_2017.pdf. Accessed on 6 August 2018. U.N. Human Rights Committee. 1982. CCPR General Comment No. 7: Article 7 (Prohibition of Torture or Cruel, Inhuman or Degrading Treatment or Punishment). http://www.refworld.org/docid/4538840021.html. Accessed on 8 August 2018. ———. 1992a. CCPR General Comment No. 20: Article 7 (Prohibition of Torture, or Other Cruel, Inhuman or Degrading Treatment or Punishment). http://www.refworld.org/docid/453883fb0.html. Accessed on 9 August 2018. ———. 1992b. M. Gonzalez del Río v. Peru. Communication No. 263/1987, U.N. doc. CCPR/C/46/D/263/1987. http://hrlibrary.umn.edu/undocs/dec26346.pdf. Accessed on 24 July 2018.